After New Zealand he went to Michigan in the United States becoming professional at Plum Hollow and designing several of the state’s courses such as Knollwood and Arbor Hills. 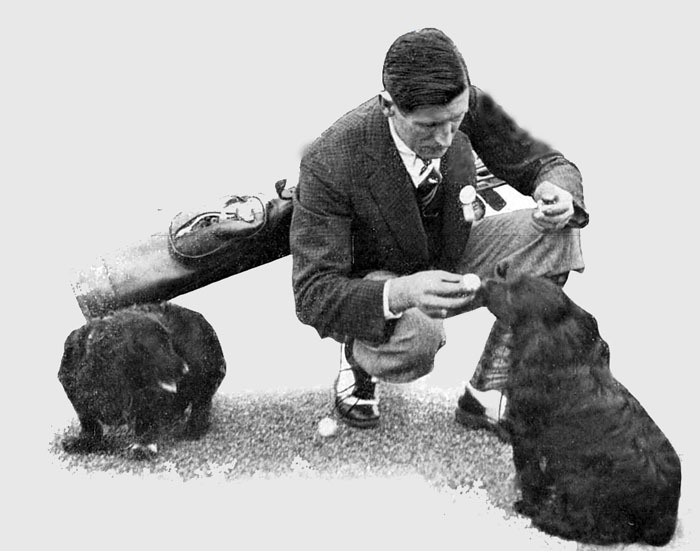 The photograph is from his time in Michigan, training cocker spaniels to find lost golf balls by scent. I am impressed by anyone who can train a cocker to do more than walk in a straight line.